When it comes to elder care, many caregivers and health professionals focus their efforts on what help they can offer. However, as it turns out, keeping older adults healthy and happy isn't just about what caregivers can give them, but what the seniors can give back. Volunteering is an essential part of a healthy community, but it can also have numerous benefits. Here are some reasons why volunteerism can be good for body and mind, and how you can encourage seniors to get out and start giving back. As seniors grow older, they may become susceptible to more chronic health conditions. Many of these, such as heart disease, hypertension and diabetes, can be linked to lifestyle-related risk factors. In fact, the National Institutes of Health noted that losing between 5 and 7 percent of excess body weight can cut the risk of developing diabetes in half. However, some may find it difficult to get regular exercise in their daily lives. Volunteering can actually be a viable exercise choice for some, and regularly engaging with volunteerism keeps seniors active. This helps keep weight down, blood pressure low and hearts healthy. Many older adults are living with depression and anxiety - not to mention cognitive health problems such as Alzheimer's disease and dementia. Maintaining brain health is a huge part of a healthy lifestyle, and volunteering is a great way to help keep seniors cognitively and emotionally adroit. As Senior Care Corner noted, consistent mental activity is essential for staying sharp. This doesn't even have to be restricted to brain-teaser activities such as puzzles or crosswords. The source noted that activities as straightforward as regularly participating in conversation has a positive effect. Volunteering can help seniors by keeping them exposed to a variety of mental and social situations that allow them to interact, keeping their brains sharp. SeniorCorps even stated that not only does social volunteering help preserve current levels of cognitive function, it may also help increase brain power. One thing all seniors need in their lives is social interaction. Otherwise, they may grow to feel isolated and can more easily experience depression or even other health risks. Volunteering regularly can expose older adults to new people, helping them to make new friends. Not only that, but maintaining these relationships is great for building and improving social skills. These can include other residents of their senior living communities, or even members of the population they work with in the course of their volunteer activities. Volunteerism also helps imbue seniors with a sense of purpose, letting them know that they're impacting their community in a positive way. HealthDay reported that volunteering can have a direct impact on overall longevity. According to the source, a study from the University of Michigan revealed that seniors who spent at least 40 hours a year volunteering were 40 percent more likely to be alive at the end of the research period than those who didn't volunteer. It doesn't even matter what cause they were devoting themselves to - just the act of volunteering was shown to have a positive effect on overall health and well-being. With Martin Luther King Jr. Day being celebrated Jan. 19, there are many volunteer opportunities springing up in communities across the country. The Corporation for National and Community Service provided links on its website offering educational information and even a toolkit for planning a community-service activity in observation of the holiday. Of course, volunteering can be a year-round affair. 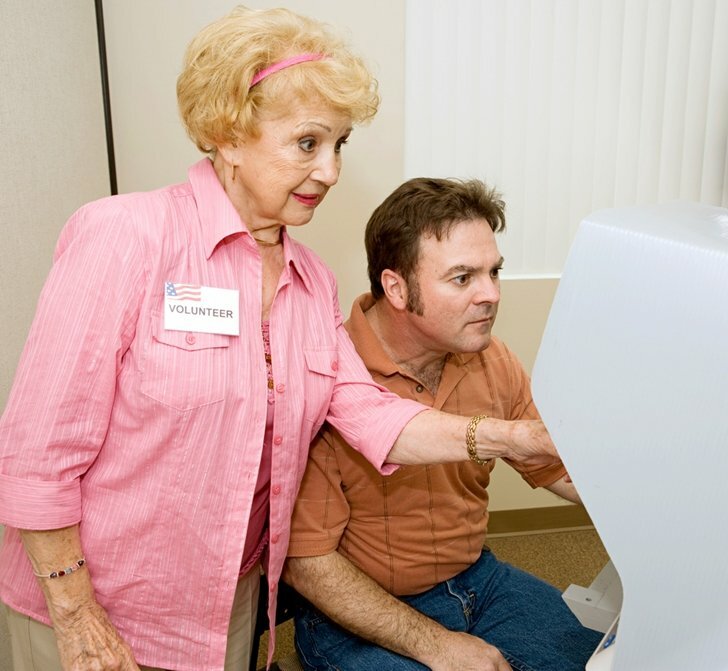 Several services, such as the Administration on Aging, can connect seniors with volunteer opportunities.